Just to prove we do have white boys working at the shop. Makes it easy to get the rear end out of the junk Q45. 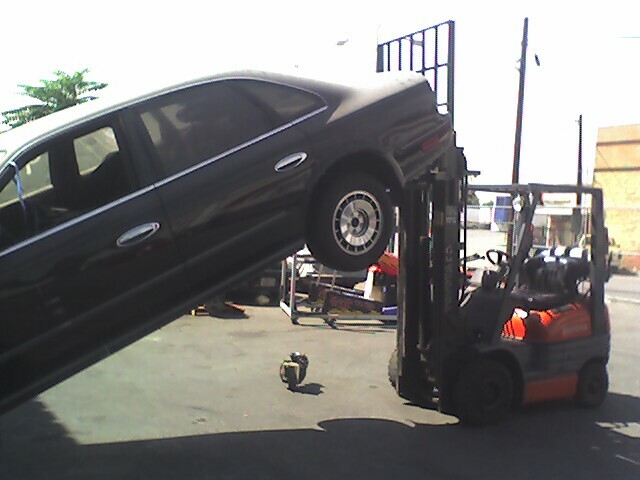 Plus its just fun to move things with the forklift.